Amaranth, also called ramdhana, chua, bathua, pungikeerai or thotakura in India is a vegetable/herb that typically grows as an annual, which is defined as a plant that matures and completes its lifecycle over the course of a single year. Some cultivated amaranth varieties grow to two metres or six feet tall and individual plants that land in a spot with no competition may grow even taller. Like all fast growing leafy greens amaranth loves rich soil with steady moisture and a good supply of nutrients. Amaranth is a hardier plant and can cope with heat and dry conditions a lot better than any other leafy green. Due to a high requirement of nutrients, especially nitrogen, using a leguminous cover crop such as clover, beans and peas can provide adequate organic nitrogen. 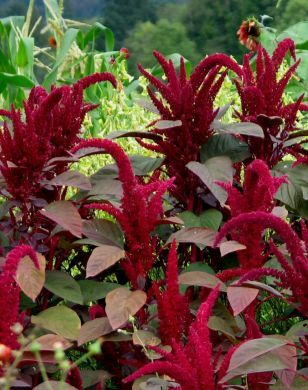 Amaranth requires full sun light and while sowing the seeds plant 4-6 in a sq. ft around a centimetre deep. Some varieties can get quite tall and may need the support of canes. Check the height of your crop before you sow so that you can place your canes before the plants are of a size since there is a chance that the roots can become damaged by their insertion. Amaranths are ready for harvest in 20–45 days after planting or sowing depending on the variety and plant type. Plants may be harvested once or several times. With multiple harvests, young leaves and tender shoots are picked at 2–3 week intervals. Frequent harvesting of leaves and shoots delays the onset of flowering and thus prolongs the harvest period. For mature plants, harvest leaves and stem from the top to encourage further side shoots. Remove any flowers as soon as their buds appear otherwise leaf production will come to an end. Amaranth seeds are high in protein and contain respectable amounts of lysine and methionine, two essential amino acids that are not frequently found in grains. They are high in fiber and contain calcium, iron, potassium, phosphorus, and vitamins A and C.
The fiber content of amaranth is three times that of wheat and its iron content five times more than wheat. The leaves contain three times the amount of both calcium and niacin (vitamin B3) compared to spinach leaves or twenty times more calcium and seven times more iron than lettuce. 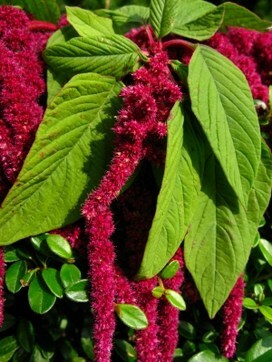 Amaranth also contains tocotrienols (a form of vitamin E) which have cholesterol-lowering activity in humans. 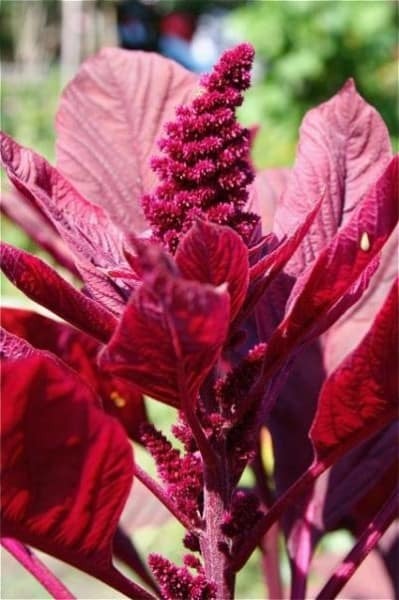 Cooked amaranth is 90% digestible and because of this ease of digestion, it has traditionally been given to those recovering from an illness or ending a fasting period.